HMI’s patented expandable frame for the aluminum and security storm door helps make installation a snap and the appearance beautiful. It allows for adjustments up to 3/8”. 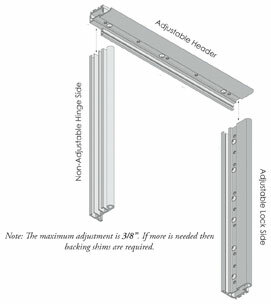 Made of extruded aluminum it creates a perfectly level opening to fit the storm door.